By now, all of you are familiar with the issues people are having with the Pixel 2 and Pixel 2 XL, namely with the display. Google's VP of Product Management, Mario Queiroz, has just issued a statement saying that all Pixel 2 phones will be upgraded to two-year warranties for added peace of mind. Essentially, Queiroz is saying that the Pixel 2 XL's pOLED display does not appear to be more or less privy to burn-in than other OLED displays on the market, but Google will still use software to try and prevent it. The dimming of navigation buttons shows that Google is already working on the software side to alleviate the issue. 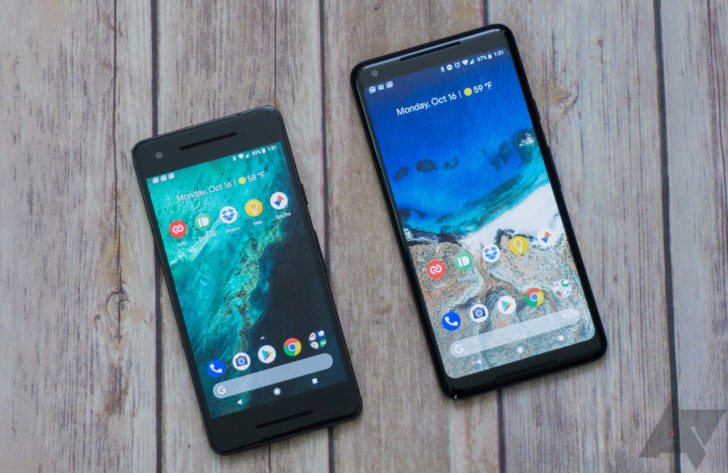 In order to maintain buyers' trust, Google is upgrading all Pixel 2 and Pixel 2 XL phones to two-year warranties globally. That means that those of us in the US will have our warranty periods doubled, although those in the EU won't be affected due to existing laws. This is similar to what LG did with the G6, and later the V30. In any case, it's nice to see that Google is standing by its products. We also want to add some clarification on the 2 year warranty and preferred care. This isn't the result you were all hoping for, but it's understandable. And if you want to return Preferred Care because of this, you can do so within 30 days of your purchase date.